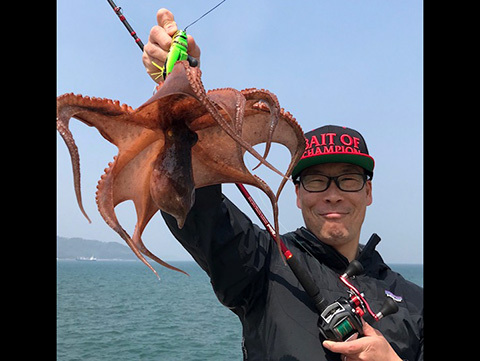 In recent years, the excitement surrounding octopus fishing has been increasing nationwide in Japan. 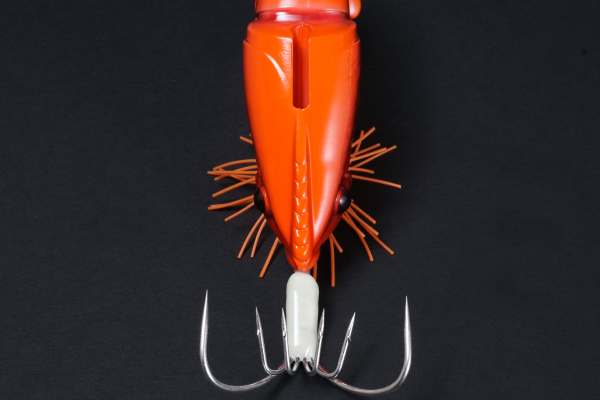 The TACO-LE is a specialized octopus lure built from the ground up to meet the demands of octopus anglers. 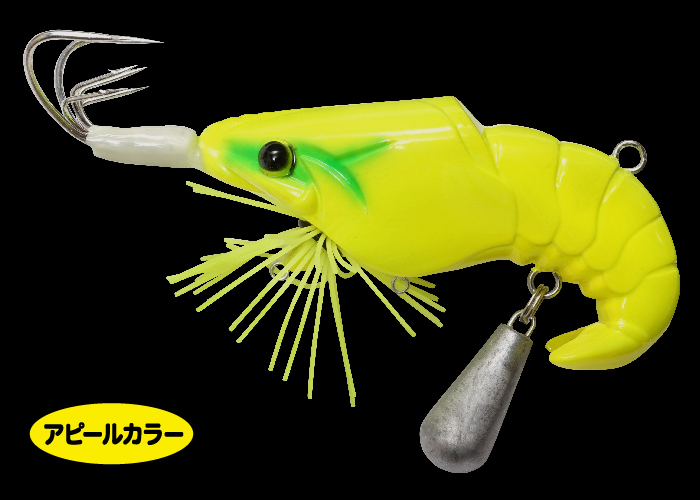 By adjusting the buoyancy of the head and tail, the hook stays elevated even when being dragged along the bottom, avoiding snags. 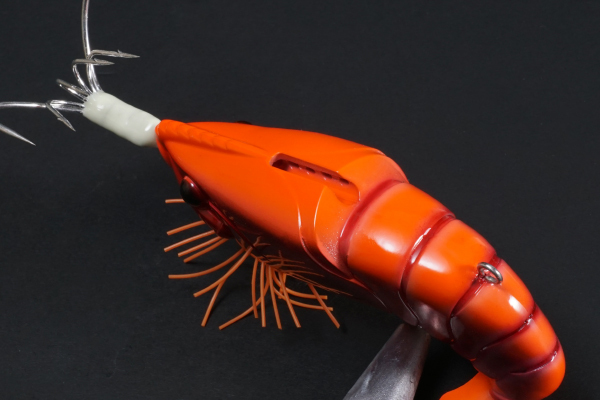 The tail bumper mimics the fleeing posture of a shrimp and prevents the weight from becoming stuck on rocks and in between slits. It also acts as a sensor, transmitting information about the bottom directly back to the angler’s hands. 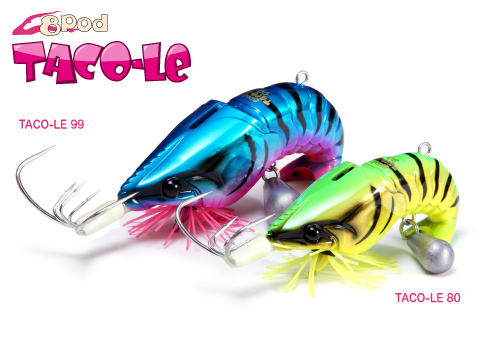 The TACO-LE uses two large barbless hooks and four small barbed hooks that make up its distinct twin hold hook design. 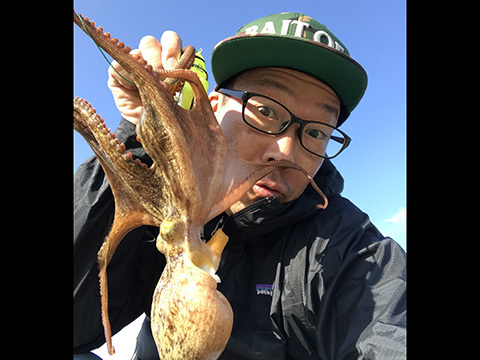 This design allows for the user to apply the amount of strength needed to rip an octopus free, while avoiding losing the target once it’s hooked. 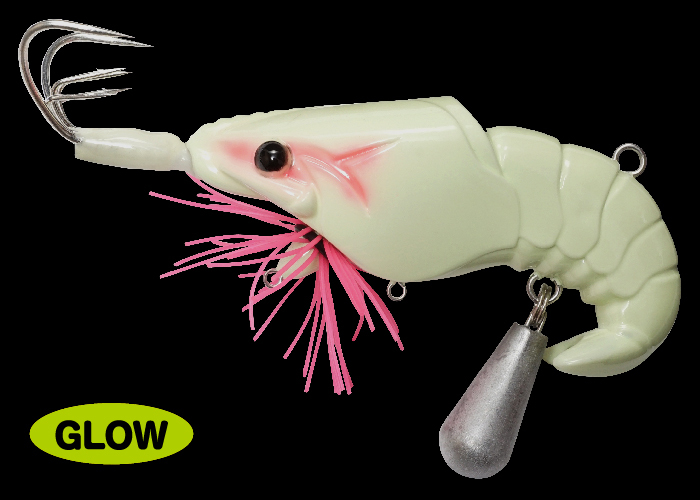 This original hook system boasts a formidable catch rate. 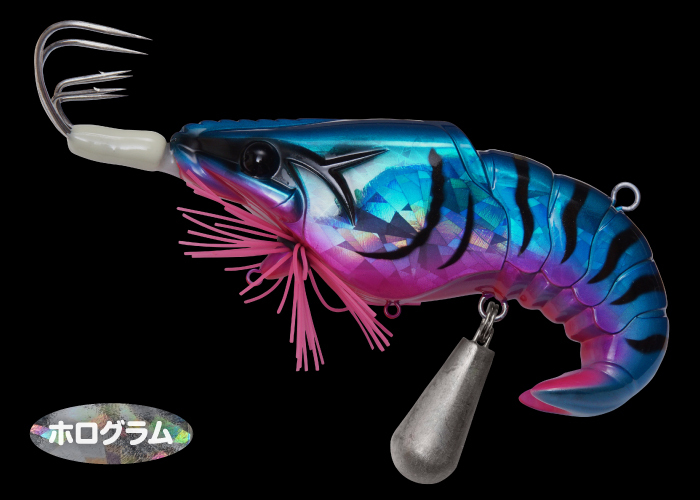 The top of the body features a 4.5x37mm glowstick holder, opening up the possibility of making the lure even more enticing to targets. The top of the body is flat, allowing for the placement of bait secured by a rubber band, making the lure act as a floating tenya, for when you need that extra something to hook your targets. The underside of the body features a skirt that creates enticing, natural movements with water flow. 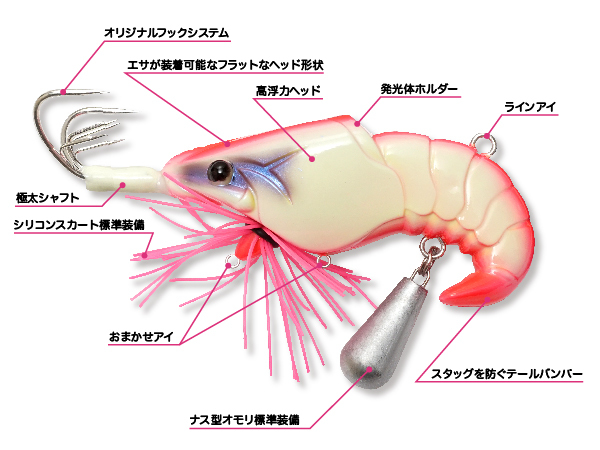 There are two attachment eyes on the belly and skirt arm that allow for anglers to accessories of their choosing, such as blades and tinsel. 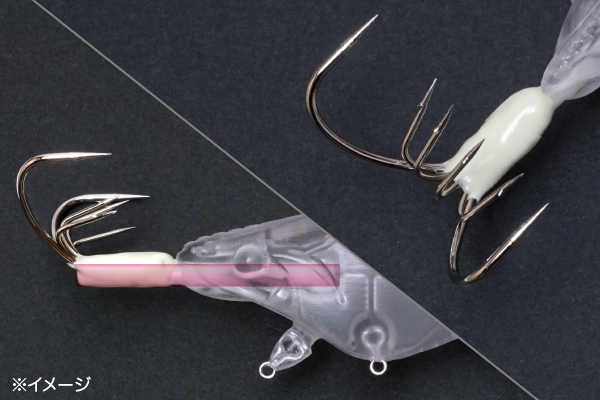 Two large barbless hooks and four small barbed hooks for a total of six hooks that will reliably secure your target! 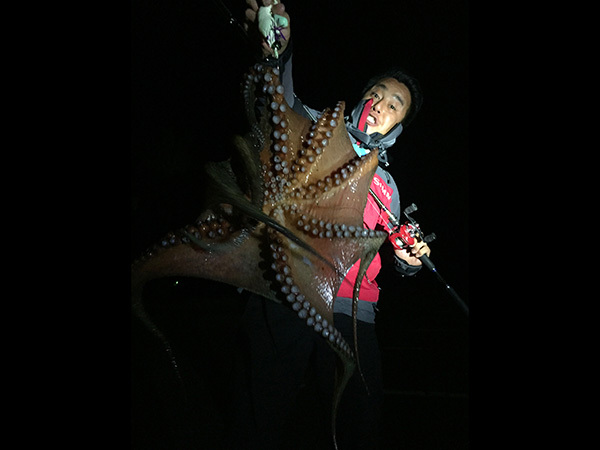 For the high loads experienced during octopus fishing, the strength of the shaft is of the utmost importance. 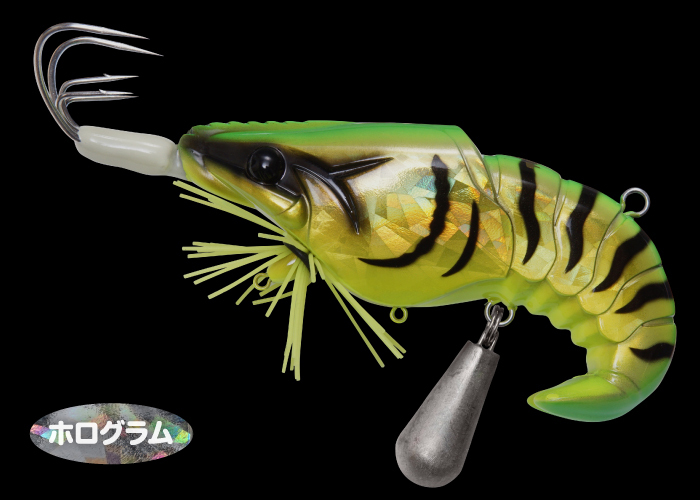 The super-thick glass fiber shaft reduces the risk of breakage. 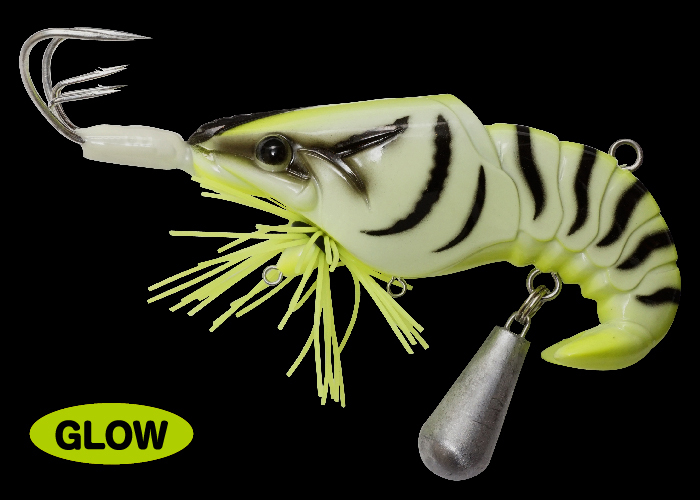 The top of the body features a 4.5x37mm glow stick holder. Further increases the lures appeal! 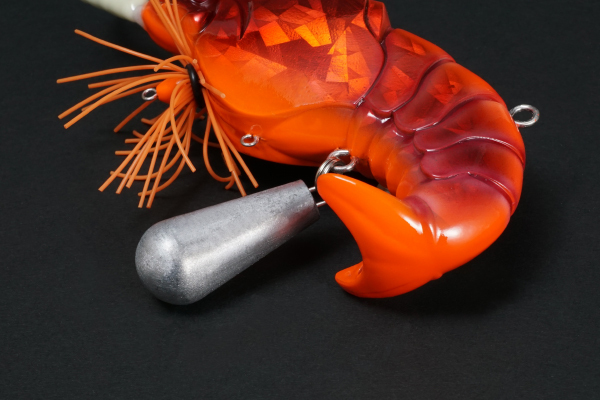 Using accessories sold separately, adjust the lure to your liking using the customization eye. 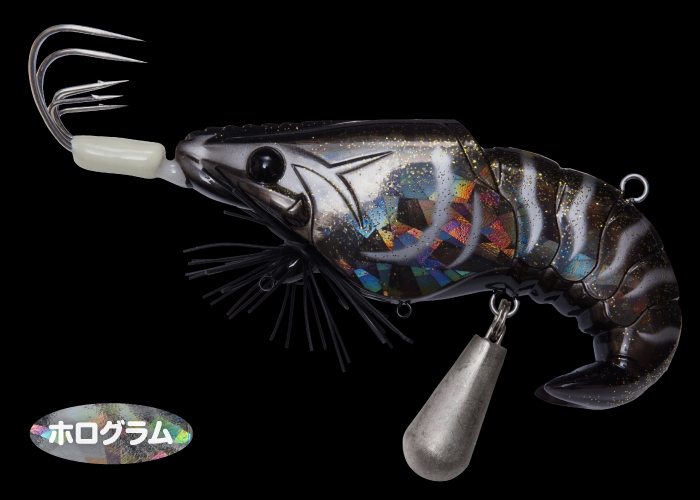 Attach Rubber for more realism, or Blade for more flashiness. The possibilities are infinite! 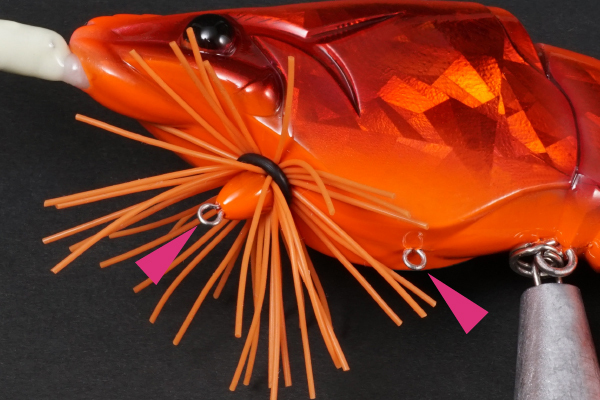 The bumper helps reduce snags on rocks and slits. *Eggplant-shaped weight standard equipped (TACO-LE 80: No.5, TACO-LE 99: No.10) Please use your preferred weight according to the situation. 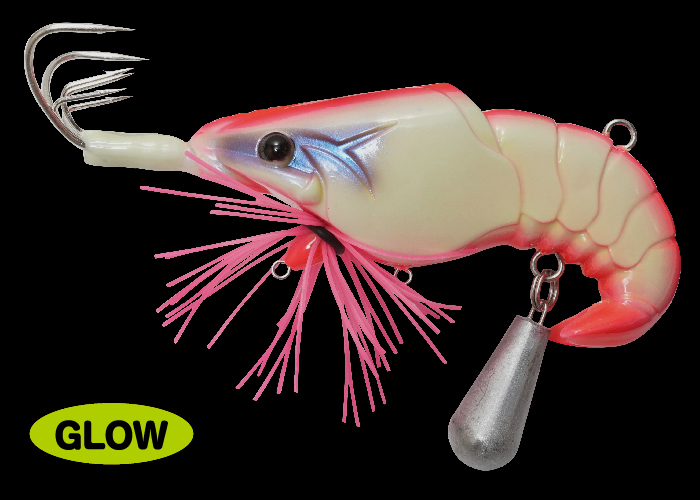 Flat head design that bait can be attached to.